Jeff Bookman joined Buchli Goldstein as an associate in 2017 and his practice focuses on all aspects of film, television and new media projects. Jeff is licensed to practice in Ontario (2016) and New York (2014). He also recently passed the California bar and will be admitted in 2018. Prior to joining the firm, Jeff was an associate at a law firm in Los Angeles, where he represented actors, writers, directors and producers in all aspects of film, television and new media. 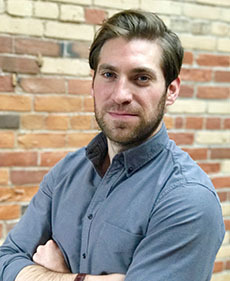 During both summers of law school, Jeff worked in the Labour Department of the National Hockey League Players’ Association, where he represented NHL players who filed for salary arbitration.